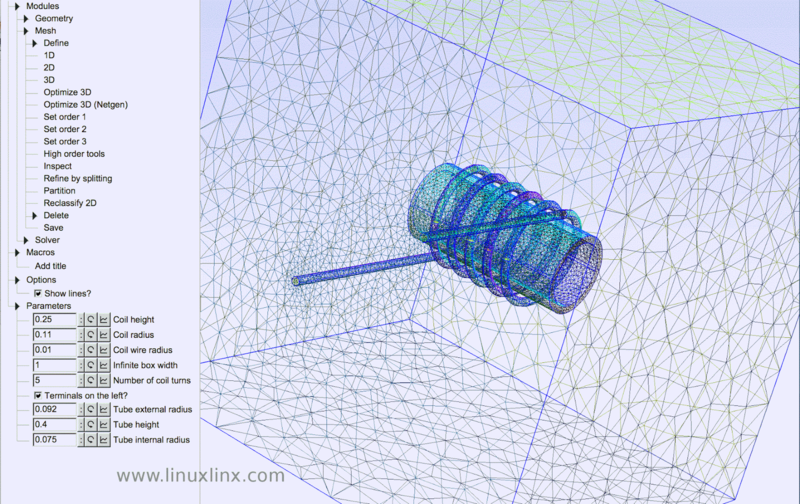 Gmsh is a free 3D finite element grid generator with a build-in CAD engine and post-processor. Its design goal is to provide a fast, light and user-friendly meshing tool with parametric input and advanced visualization capabilities. Gmsh is built around four modules: geometry, mesh, solver and post-processing. The specification of any input to these modules is done either interactively using the graphical user interface or in ASCII text files using Gmsh's own scripting language. Supported OS : Linux 32 bit / 64 bit, Windows 32 bit / 64 bit, Mac OS X and source code. Version : Current stable release version 2.12.0, March 5 2016. OOFEM is free finite element code with object oriented architecture for solving mechanical, transport and fluid mechanics problems that operates on various platforms. The aim of OOFEM is to develop efficient and robust tool for FEM computations as well as to provide modular and extensible environment for future development. OOFEM is released under GNU Lesser General Public License (LGPL). Supported OS : Linux 32 bit / 64 bit, Windows AMD64 binary. NETGEN is an automatic 3d tetrahedral mesh generator. It accepts input from constructive solid geometry (CSG) or boundary representation (BRep) from STL file format. The connection to a geometry kernel allows the handling of IGES and STEP files. NETGEN contains modules for mesh optimization and hierarchical mesh refinement. Netgen is open source based on the LGPL license. 4. FreeCAD, a parametric 3D CAD modeler. Supported OS : Linux, Windows and Mac OSX. 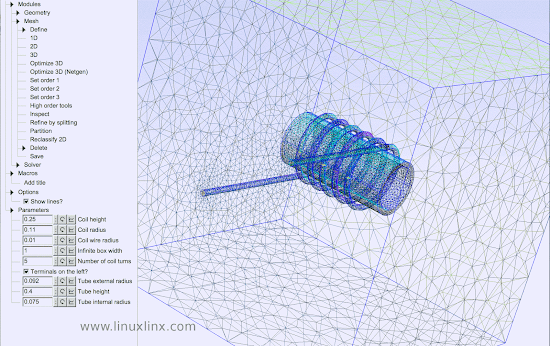 A Open Source software suite including Pre-/Post processing Tools: 3D-CAD, Mesher, FEM-Software. Supported OS : Linux 32 bit / 64 bit. That's all Autocad Alternatives for ubuntu, ubuntu derivatives and others Linux distro for Us who need to create 2D and 3D drawings and diagrams, especially in industries such as architecture, interior design and engineering. if you find any good or better alternatives please comment below and we will glad to add it in this article. Getting started with Ubuntu Linux from Infinite Skills. Learning Linux MInt with GUI and command line tips. Manjaro increasing popularity, placed third on DistroWatch! © 2016 Linuxlinx. Made with + powered by Blogger All trademarks are the property of their respective owners.